When we talk about Mustang history, we're really talking about the start of the muscle car era. 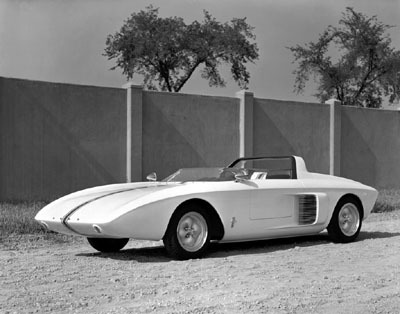 The Mustang l prototype. derived from a paper exercise in 1961, was designed more like a European race car than a public road car, with its aluminum body, mid mounted V4 engine and four wheel independent suspension. 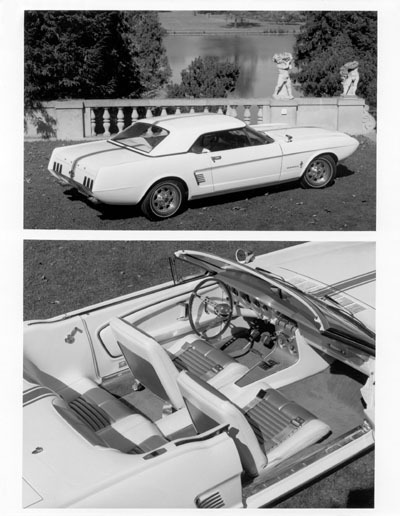 The very first Mustang , the Mustang l, a concept car, which interestingly enough, looked almost nothing like the vehicle that was unveiled in 1964 to an extremely receptive public. One of the few elements of this early prototype to survive the first cut, was the now familiar side scoops, located behind each door. The originals were much larger, but the feature remained in smaller proportions. The design, while racy, was not particularly well received by the public and would have been too expensive to mass produce. 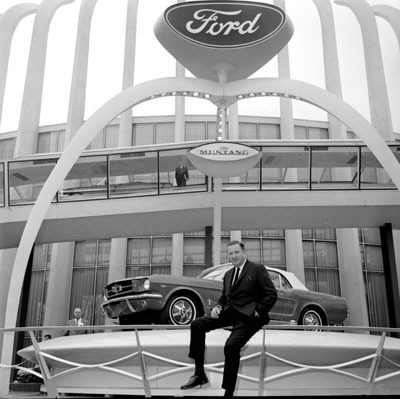 Ford Vice President, Lee Iacocca's vision for America's answer to the small quick European sports cars and sports coupes was both, practical and sporty. His historic vision, was to create a compact high performance car, that seated four, had bucket seats, a floor mounted shifter and weighed no more than 2,500 lbs. More drawings and another prototype emerged, coined, the Mustang ll prototype. This car was closer to the vision and more practical from a production standpoint as well. From this concept, came the familiar horse and corral in the Mustang grille that has become part of the history of the Ford Mustang. Ultimately, a final prototype Mustang was produced, and shown to an excited public.